If you're considering Unified Communications as a Service (UCaaS) solution, you're drowning in choices. You've probably done a quick search for your options and discovered there's no shortage of vendors. You can select from local vendors, international vendors, low-cost vendors, high-cost vendors, and everything in between. The Federal Communications Commission (FCC) prescribes a minimum of regulatory requirements for UCaaS vendors. When combined with fast-growing demand, you can throw a rock and hit a dozen providers. Today, UCaaS options can include resellers who market themselves as providers, as well as brand-new companies using a leased network and equipment. In other words, it can be really hard to know what kind of quality to expect from a prospective UCaaS vendor, especially as a first-time user of the technology. In this article, we'll establish some of the reasons UCaaS performance can be less-than-desirable, and provide you with actionable tips on how to proceed with choosing the right service provider. You might not notice a provider's inexperience—or the fact they're really just reselling someone else's UCaaS services—until someone from a company you've never heard of shows up to perform your installation. To learn more, check out How to Boost Business by Leveraging Unified Communications Tools. UCaaS vendors may claim to offer a full suite of business communication services while lacking one critical component: Internet connectivity. In fact, this approach is likely the most common form of UCaaS. Using a public Internet vendor to power your VoIP phones, messaging, and data can be sufficient. However, can a business succeed with an Internet connection that's "usually reliable?" It's probably not a risk you want to take. Significant delays in data transfer, especially in periods where bandwidth is at peak demand. Sound quality issues on VoIP calls. Difficulty troubleshooting quality and data transmission issues. By using a UCaaS vendor with a full suite of communication tools, including their own fiber-optic Internet connectivity and direct connection to the cloud, you can eliminate many of the most technical and common quality risks. For an in-depth view, we recommend 7 Reasons Unified Communications as a Service On Public Internet is Risky. Almost every UCaaS vendor's marketing talk says they have "years of experience." However, experienced vendors are more likely to be a one-stop shop. They may offer high-quality knowledge resources to their clients. Because of their passion for communications, they're likely to keep services like installations in-house and continue adding cutting-edge offerings to their menu of services. 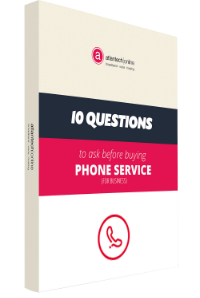 Challenges with a less-than-experienced vendor can begin at day one when you're struggling to port your phone numbers from your old service provider. These may continue as soon as your UCaaS is implemented when they're struggling to troubleshoot networking. UC is a lot more than just VoIP phones, which is why you need a UC provider who has broad experience with all of the components of business communications technologies. Long distance call fraud, also known as VoIP toll fraud, is a costly risk to your business. For one San Francisco architecture firm, a single weekend's worth of hacker fraud resulted in a $166,000.00 bill—408 times higher than the firm's monthly average costs. Phone-related hacking crimes are much older than VoIP, and your organization has risks of fraudulent charges regardless of whether you're using UCaaS or traditional phones. While one of the best defenses against fraud is strong password protection to prevent hacker access, your UCaaS vendor should not work against you. Your vendor should take an active role in helping UCaaS and VoIP clients avoid call fraud. One of the most important ways your vendors can help is with a standard policy of blocking outbound international calling during implementation. Your vendor should also be capable of taking immediate action 24/7 if you notify them of suspicious activity. Since most outbound call fraud occurs at night or on the weekends, a vendor who lacks the staffing to take action after-hours could cost your company. Without Enhanced 911, or E911, emergency response could have trouble finding you. E911 is the technical process of registering a location and caller identification with a VoIP number to provide dispatchers with the same location and caller information they would receive from a landline. The FCC's own recommendations advise organizations to be conscious of VoIP E911 as a safety tool. Providing 911 service as a mandatory feature. Obtaining your location data before service starts. Providing easy options to update location if it changes. Transmitting location data to emergency dispatch. Informing you of E911 limits. Addressing Public Safety Access Point (PSAP) routing. If your UCaaS provider is not fully compliant with FCC requirements around E911, it's a definite red flag. Understanding a vendor's process of compliance is a critical part of quality service. No one wants to find out the police aren't dispatched to an old location in an emergency because the vendor failed to update E911 information. Is your organization going to purchase a standard approach to UC and avoid changing their service package over time? Are you going to do a big-bang implementation and get all of your sites switched over on the same day? If you answered yes to either of those questions, you're not part of the majority. Most organizations will experience a smoother transition, lower costs over time, and better satisfaction with a solution that's custom-built to their business needs. Even if you're not sure whether your business requirements will indicate a need for custom UC solutions, there's a very strong chance that you could benefit from a vendor with the experience and knowledge to offer custom solutions as an option. A cookie-cutter approach to solutions can result in dissatisfied clients, wasted money, and frustration. In fact, a high-quality UC vendor will work with your organization to understand whether you need a phased migration or have a business case for maintaining some PRI phone lines in addition to VoIP. They'll also help you select the right equipment to meet your needs. 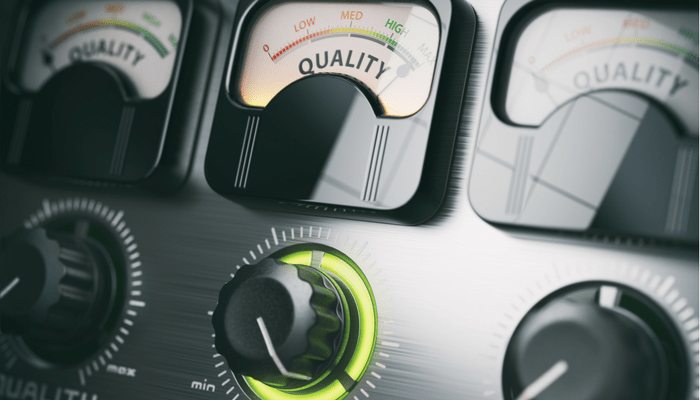 There are a lot of aspects to UC quality, extending well beyond the bandwidth allotments and business-class connectivity required for your voice calls. Quality unified communications also depends on vendor experience, willingness to customize, regulatory compliance, and fraud awareness. Unfortunately, many businesses find out post-implementation that their UC is suffering due to public Internet provider service issues. The unluckiest businesses can learn that they've been slammed with a massive toll fraud bill, because of a vendor who failed to block international outbound calling. Your UCaaS vendor should do the heavy lifting for your organization when it comes to providing high-quality communications tools so you can sit back and enjoy the simplicity, transparency, and cost-savings of quality UC. Atlantech Online has been providing a broad suite of business communications tools since 1995. With data centers in Rockville and Silver Spring, Maryland, Atlantech customers can enjoy customized solutions that include fiber-optic Internet connectivity, data center, VoIP, direct cloud connect, and a wide menu of add-ons. To schedule a no-pressure consultation with one of Atlantech's UC experts, click here.